Signed and unsigned integers can be stored in the registers. 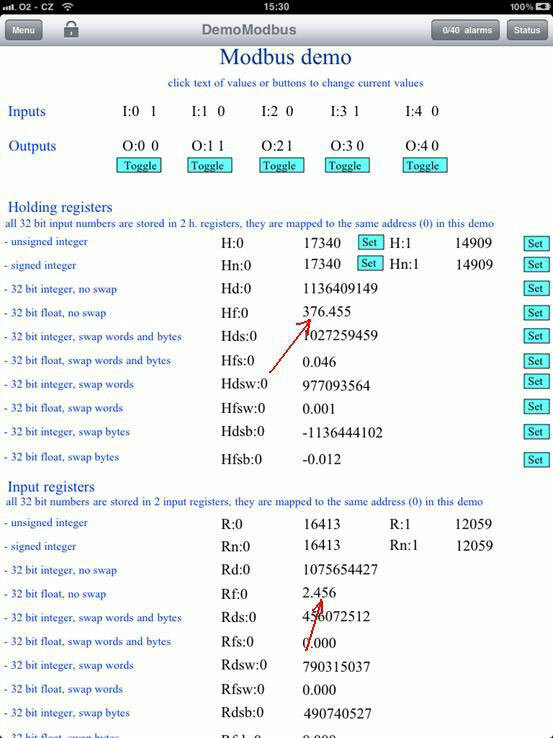 The unsigned numbers are read from or written to the Modbus device using simple addressing, like H or R to holding and input registers. To use signed integers, add the suffix “n” to the address. Using tag Hn:5 means that access the holding register at address 5 and the number will be interpreted as the signed integer. In 32-bit data type numbers, the signed integers are used by default, and the suffix “n” is not used.